1. Take 2 cups of rice four, grated coconut, salt in a pan, add some water and mix them well without any clumps. no need worry about about the consistency..
2. Heat the pan and mix them continuously, till they roll out from the pan..
3. Add a tsp of ghee and knead it to smooth… and make even sized balls..
4. 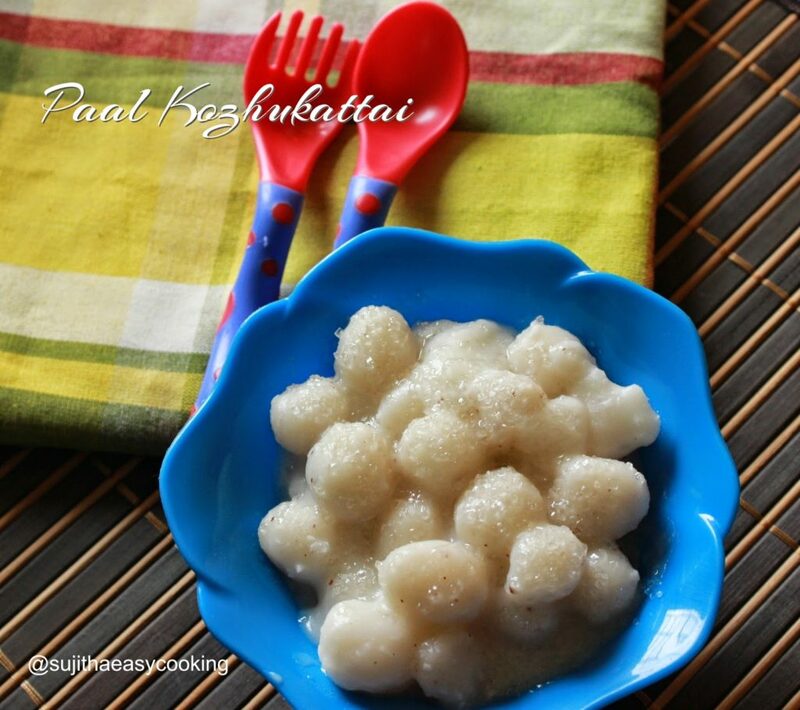 Steam the rolled balls in a steamer… i used my idli steamer..
6. Add in the milk and 2tsp of grated coconuts to it..Boil this for 3-4 mins.. can add some cardamon powder in this step..
7. Dissolve the ! tsp of roc flour in water and add this to the pan and boil till they reach a thick consistency… and top with sugar and serve.. I didn’t add cardamon powder in it, it gives a nice flavor to your dish..
Can add sugar in last step, i skipped it. 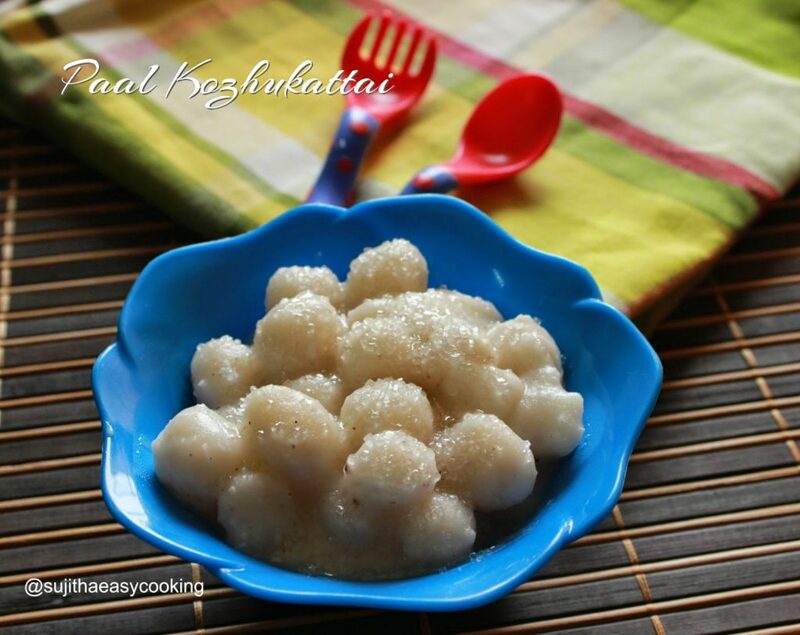 some time we love to have this as a savory kozhukattai.